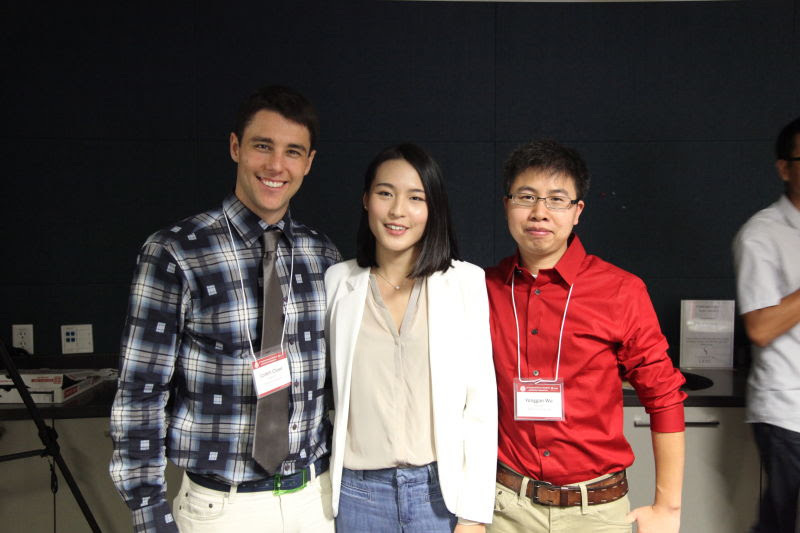 On Oct 3, Labii presented its newest product, Labii ELN, in the 2nd Stanford Chinese Students and Scholars Symposium. Hosted by ACSSS Department of Postdoc, the symposium featured keynote speakers Dr. Kang Shen, Dr. Fei-Fei Li and Dr. H.-S. Philip Wong and invited outstanding postdoctoral fellows to give talks. The panel discussion, themed “Science, Career and Life”, engaged students and scholars in lively conversations with Chinese faculty members at Stanford and other prestigious universities. Labii participated in the poster session with a poster that told researchers why Labii ELN would make their lab time more efficient. As a template-based electronic lab notebook, Labii ELN helps researchers design experiments, record observations and manage data in the most efficient way, by automating repetitive tasks. CEO Yonggan Wu and COO Corbin Chase introduced the product to a great number of avidly interested researchers and made an on-site presentation of how to create a template on Labii.com. Researchers were invited to try the product for free and share their feedback. Labii ELN is now in Beta Testing. The first 1000 active users will get a free license.